We have a small ex demo kitchen for sale. This is a Maple kitchen, done in the shaker door style. It has been in our showroom for a few years, and it’s time for it to come out to make room for some new exiting products. It’s as per the photo, total width is 2240mm. The worktop is cut to suit a hob, and the one that is in it is a Siemens Ceran top, finished size 515*800. The Hob is not working. This includes the worktop, doors, glass shelves, handles and Hinges. No lights are included. As this has been previously fitted, mounting and fixing screw holes will exist. It is sold “As Is”. This offer at a large discount to existing account holders only. Note this this is an ex demo kitchen, and is sold as such. 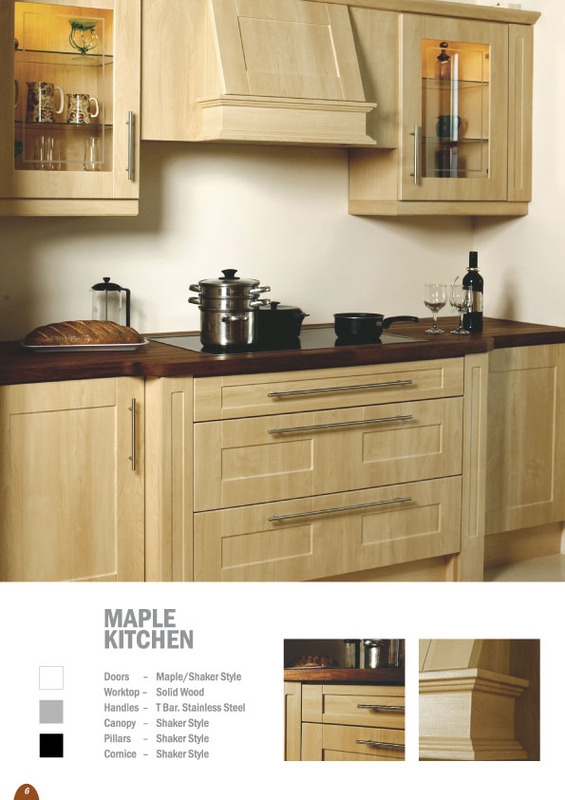 We can make additional cabinets and doors to match, to be ordered in the normal way.